Why is SEO important for school marketing? SEO stands for Search Engine Optimisation. Search Engine Optimisation or SEO refers to the practice of increasing traffic to a website by organic search engine results. These can be done through a variety of ways – from the usage of keywords to figuring out page rankings. In an increasingly competitive world, Search Engine Optimisation is used to improve the visibility of a website or website page amongst a sea of rivals. Search Engine Optimisation is thus a method to get eyeballs on your content, product or service. In this day and age, most websites use Search Engine Optimisation as a cornerstone of their marketing strategy. This is because search engine optimization is a marketing strategy that gives tangible results. The change and growth in views and rankings can be measured when search engine optimization is implemented for a website. This is what makes search engine optimization a key strategy that marketers choose to use over others for their outreach efforts. Do educational institutions like schools and colleges need SEO marketing? It might sound like search engine optimization becoming a key part of the marketing strategy has no relevance to the educational ecosystem. After all, why do schools even need to market themselves? But in this day and age, this would be a very outdated approach towards the needs of an educational institution, like a school or a college. Instead, one must approach the needs of the educational institution like a school or a college in a pragmatic and business-like fashion. Part of such an approach would be to recognize that a school must be marketed. How else would its audience – potential students, their parents, and teachers seeking employment – know what they stand for? To build an educational institution that has a distinct culture and whose ethics and values are strongly defined, it is necessary to work with and serve an audience that identifies with those markers. Marketing an educational institution correctly would attract the correct audience. Casting your net far and wide is most likely to garner you the best stakeholders to engage with your educational institution. And the best way to do this would be to use search engine optimization as part of the school’s marketing strategy. Applying data-driven techniques to improve visibility helps better convey the educational institution’s ethos to a wider population from which to draw from. What are the advantages of Search Engine Optimisation marketing for schools? The advantages of search engine optimization have briefly been discussed above in general. The necessity of marketing for schools and the implementation of a strategy that includes search engine optimization has also been illuminated. However, what is the direct impact of the implementation of search engine optimization as part of the school’s marketing strategy? Nothing improves brand awareness for a product or service than for its website to receive visibility. Search engine optimization in a marketing strategy focuses on just this – to increase brand awareness. When it comes to educational institutions, it’s this visibility that directly impacts enrollment rate. When more students and parents who would be good for your educational institution have a good understanding of what the school stands for, what the school offers, what the school culture is like, they are more likely to apply and want to become a part of the school community. Search engine optimization thus has a direct impact on brand awareness and consequently enrollment in the school itself. Parental engagement with the educational institutions their wards belong to is also boosted by the implementation of search engine optimization in their marketing strategy. The content of the website is relevant to their interests and the educational trends of the day, which is likely to demonstrate to parents that the educational institution stays on top of things happening in the educational ecosystem. Websites are also likely to see more engagement in the form of page views and higher rankings in results for searches thanks to search engine optimization, putting them in front of parents on a more regular basis and consequently increasing parental engagement with the school website. This is important because the school website is the online representation of the school itself, and one more avenue through which a parent can remain involved with the school and thus their child’s academic career. Part of implementing search engine optimization as part of an educational institution’s marketing strategy is to list the school or college on reputable directories and websites. This adds a certain sense of credence to the website and thus the educational institution itself. Listing the school on well-regarded directories and websites also improve the quality of backlinks, which in turn positively impacts the rankings. Increase in rankings directly results in higher visibility for the school – people are more likely to click a link on page one of search results rather than page ten or higher. A higher ranking also often signals authenticity and trustworthiness – key traits any school or college must demonstrate without fail in order to gain the trust of students and parents. Local listings are also a facet of search engine optimization implementation in the marketing strategy being put out for a school. Parents and students considering which school to send their word to have geographical and logistical constraints – finding an ideal school within reasonable traveling distance is a priority for any harried parent. By using search engine optimization as part of the educational institution’s marketing strategy, including relying on local listings, it becomes easier for parents to connect with schools that are local to them to enroll their children in. This means that the school becomes a part of the local community it wishes to support thanks to the implementation of a marketing strategy that includes search engine optimization. website its ranking is pushed higher and it is likely to get more views. This is because these keywords reflect what people are actually curious about and interested in under the domain of a specific world. It is what they actually want to read and learn about and is thus important to them. For prospective students and their parents that are interested in an educational institution, a focus on keywords relevant to them is not only likely to place the educational institution’s website in front of them, but also connect with them on the basis of mutual interest. It is a win-win for all parties – for educational institutions seeking to market themselves to the right audience and for parents and teachers and students seeking a job fit at the right school or college for them. Thus, search engine optimization is a way to build connections with potential students and their parents as part of the marketing strategy. Implementing Search engine optimization as part of the marketing strategy for an educational institution’s website results in better loading time on mobile. Considering that most users browse the world wide web on their mobile devices, it is important to optimize websites for mobile in order to improve rankings and increase page views. Search engine optimization helps in this task, by ensuring better loading times for the website on the user’s chosen mobile device. What is a Transport Module in School ERP Software? Before defining a transport module in school ERP software, we must first define a school ERP software. A school ERP software is a platform or tool that helps an educational institution, like a school or college, manage all their organizational processes for a variety of stakeholders. In an ever-changing educational ecosystem, moving towards technologically rich solutions like a school ERP software is a forward-thinking approach towards school management. A transport module in school ERP software is a plugin that is designed and planned to help you more efficiently plan and manage your educational institution’s entire transport system. Depending on the robustness of the school ERP software, the transport module in school ERP software can do everything from marking transport attendance for students and employees to live to track the route and location of a bus that is transporting students and employees to and from school and home. Who would use a Transport Module in School ERP software? 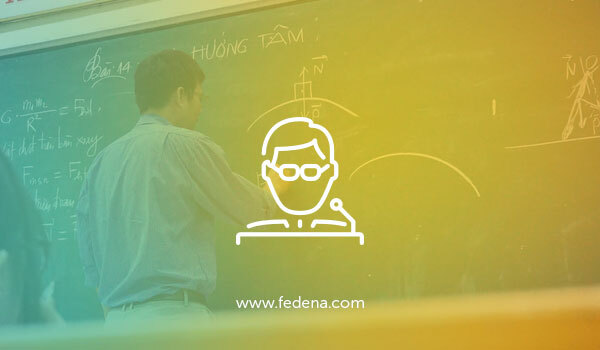 How is Fedena’s new Transport module in school ERP software different? Fedena provides a robust transport module in school ERP software experience to all its users. Recently, the Fedena transport module in school ERP software was updated to provide newer features to better serve its users, like parents, teachers, management and administrative staff. New route mode is a feature of the transport module in school ERP software that allows different pickup and drop routes for users. This means that new routes are able to be added in the transport module in school ERP software to accurately reflect the transport routes being provided in real life and on the ground by the educational institution, better serving the very purpose of a transport module in the school ERP system, to begin with. The original main route and subroute system in Fedena’s transport module for School ERP software have been changed to better reflect how its users think about transport routes. To this end, the transport module in school ERP software now refers to the original main route and subroute system as routes and stops. This change in nomenclature in the transport module in school ERP software better reflects user mindset and thus makes the transport module in school ERP software more instinctive to use. Management also benefits financially from the transport module in school ERP software. 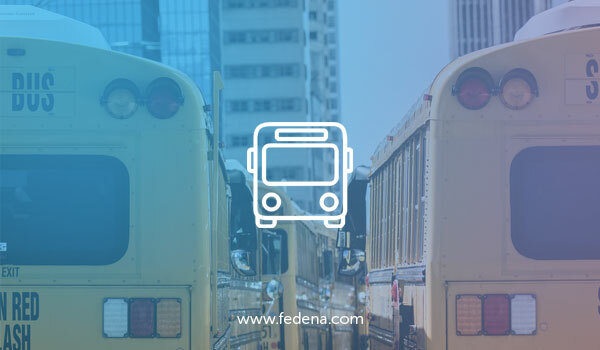 Fedena’s robust transport module in school ERP software can easily record all maintenance and repair work performed on the transport vehicle belonging to the educational institution. This means that the transport module in school ERP software functions as a ready record of all the repair and maintenance work performed on a school transport vehicle. Previously, in the Fedena transport module in school ERP software, a transport route could only be assigned to the transport vehicle. This meant that parents and teachers would only be able to follow the transport vehicle’s route – that is following passengers in that vehicle. Now, the transport module in school ERP software allows for routes to be assigned to the passenger in the vehicle, making it a more instinctive interface for users of the transport module in school ERP software. Being able to track a passenger is far more efficient than the transport vehicle, all made possible by the transport module in school ERP software. In the Fedena transport module in school ERP software, users are now able to assign passengers by batch and by the department. This batch wise and department wise assignment of passengers in transport module of school ERP software mean that it is easier to pull up a group of transport users based on already existing classifications. 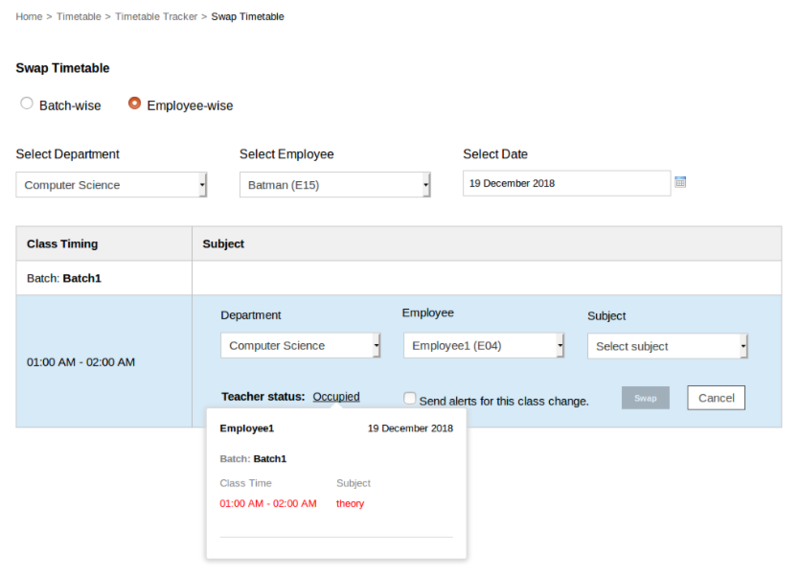 Transport module in school ERP software thus better reflects the way the school itself is organized. The newly updated Fedena transport module in school ERP software allows for the presence of students and employees on the transport vehicle to be tracked more efficiently. This is done by allowing for attendance to the transport vehicle being marked within the transport module in school ERP software for both students and employees by the concerned user. With the new Fedena transport module, it is possible to now set a transport vehicle and assign passengers like students and employees to specific transport vehicles based on the academic year they belong to. Much like the batch-wise and department wise assignment, this kind of passenger assignment and transport setting by academic year in the transport module in school ERP software is reflective of how the educational institution is classified. Reports have always been a feature that is offered in Fedena’s transport module in school ERP software, but now the transport module in school ERP software is becoming more data-driven than ever before. In the newly updated transport module in school ERP software, users are able to access reports on Transport Allocation, Route wise Allocation, Route details, Transport Fee Report and Attendance Report for students and employees using the transport services offered by the educational institution. This means that better and more data-driven decisions can be made by management regarding the budget and financial allocations transport management may receive, based on data being generated by the transported module in school ERP software. This kind of valuable data provided by the transport module in school ERP software is key to better management of the educational institution over the long term. Why is communication important in a school? In many ways, a school is a sum of its moving parts. Much like large corporations or big events, a school consists of numerous stakeholders with differing yet intersecting aims. In order to ensure smooth functioning, it is important that all these moving parts work in sync with each other. The key to doing this is, naturally, communication. Better communication relies on the sharing of information freely resulting in better decision making from all stakeholders in the educational ecosystem. It is also important to remember the primary asset that an educational institution is servicing – its students. Good communication habits and processes teach students to be better communicators themselves, which is an important skill for their future. An educational institution that encourages good and efficient communication is one that is setting their students up for success in their future lives and careers out in the real world. What are school ERP systems? School ERP systems are tools or platforms that essentially take over all processes in the school. School ERP systems can handle everything from onboarding to alumni networks, in terms of processes. This would include overall communications processes at your educational institution – all of which can be taken over by school ERP systems. School ERP systems are particularly adept at handling communications at educational institutions through the use of school ERP modules. School ERP modules are explained further below. What are school ERP modules? School ERP systems use school ERP modules for specific processes or tasks within the system. For instance, there will exist a school ERP module for sending SMS alerts system-wide. These school ERP modules are often customizable or variegated to a great degree – this means, we can get pretty deep in the customizations or choices that can be a mode in terms of choosing a type of message, an audience the message is sent to, when it is sent, and by whom within each module. In some ways, school ERP modules are thus what makes the school ERP system tick. They are truly the heart of the school ERP system – making it function perfectly by controlling everything it does. They — that is school ERP modules — are in some ways the strings behind the puppet that is the school ERP system. School ERP modules control the very functionality of how school ERP systems work. How do school ERP modules help improve communication in schools? Communications in an educational institution are something that requires careful thought and consideration as a norm. The school ERP system and its underlying school ERP modules must reflect this thinking on a system level. Most school ERP modules achieve this goal – they are customizable, with the level of choices offered to the user being quite right. For example for the SMS integration school ERP module, you can choose the audience, timing, schedule, content, and user accessibility. This enables effective communication from a machine like a school ERP module in a school ERP system on a computer. Whom can school ERP modules to help with communication and how? Communications between all stakeholders can be handled by your school ERP modules. This would include teachers, parents, students, management, administrative staff, and non-education staff. All these stakeholders can user various school ERP modules to streamline communications between each other. What is especially great is that these communications oriented school ERP modules are often customized to the specific needs of each stakeholder or the intent of the communication. You have many options of school ERP modules catering to communications – from SMS school ERP module to email to instant message. There is a school ERP module for every communication need between all stakeholders in the educational ecosystem. What are some school ERP modules you can use to improve communication in school? SMS integration school ERP module can be used by all stakeholders who need to communicate with an audience on their mobile devices – but still being reliant on phone networks. This is usually used to bypass blockers a phone may have on web-oriented communications, discussed later. Using this school ERP module, management can alert parents to updates from the school, for example, teachers can send classwide updates to their students, transport management school ERP module can integrate with sms integrated school ERP module to send SMS alert containing information about mode of transport, timing, live tracking of the vehicle etc., to both students and parents, as needed. Email integration school ERP module works the same as the SMS integration school ERP module, but merely over email. This is especially useful when sending out detailed messages or official communications that are just saved to inboxes of the recipient. 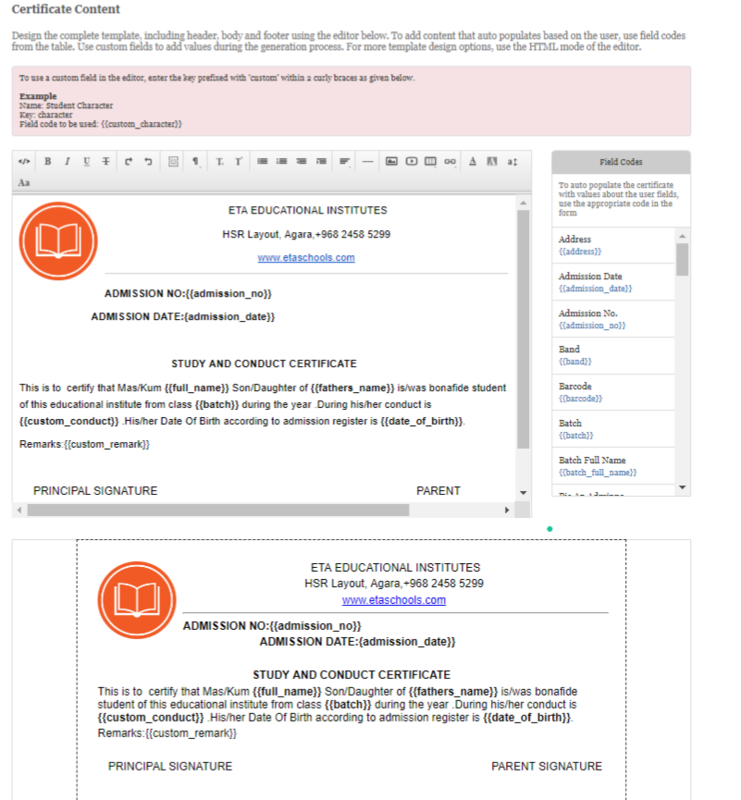 Email can now be argued to be legally binding making this kind of communication school ERP module an apt choice for communication between stakeholders like management and parents or teachers and parents. Read Also – Why choose an Online Gradebook Software for your Educational Institution? Discussion module school ERP module can be used by teachers and students to interact and create some back and forth by posting comments in it. Members of a discussion group created in the discussion module school ERP module have access to post and comment on other posts in order to create a discussion that mimics the one they would have in a classroom. Discussion module school ERP module is especially useful in an increasingly globalized yet dispersed world – students are able to use the discussion school ERP module to replicate a classroom experience wherever they are. This kind of school ERP module thus has an impact beyond just its function – in some ways school ERP modules in school ERP systems can be powerful tools for the empowerment of the stakeholder the school must care for the most, the students they serve. Enabling private communication between stakeholders is a key thing every robust school ERP system must be able to do, through the use of school ERP module. Inbuilt messaging system school ERP module is thus a must. An inbuilt messaging system school ERP module will allow teachers and students to confidentially and privately and instantly communicate with each other for, say, a discussion about student performance in class. Parents and teachers can use the inbuilt messaging school ERP module to communicate about sensitive topics like grades and teaching strategies. Management or administrative staff and parents can discuss fee payment details using the inbuilt messaging school ERP module also. The applications of the inbuilt messaging system school ERP module are many. Manually managing the grades and records of the students was not only time-consuming task but also not an eco-friendly process. But in today’s modern educational ecosystem, where everything has become automated, instructors no longer have to spend their precious time in paperwork on grade calculations and reports. Automatically compute and update grades in real time. Enable instructors to enter grades from anywhere along with comments for parents to view. Why choose an Online Gradebook Software for your Educational Institution? No more standing in the queue or waiting for school to be in session or for a specific class to hear your results. Instead, refer to the online school ERP system in your educational institution to make sharing of exam scores or test results or any kind of grade for an assignment with each student easily. What is more, is that these are private to students – they can only see their grade in their account via the gradebook software. Fedena gradebook software makes it easy for students to confidentially and easily access their grades at any point during their career. It also provides special access to the gradebook software for parents, making the student’s academic progress a team effort. Using a gradebook software usually means that many of the processes that used to be done by hand are often automated. This means a reduced scope of error when managing the examination marks of the students using this automated gradebook management software. Exam results, test scores, and points for an assignment are a sensitive subject and for older students can make or break – reduce the incidence of human error when you use gradebook software to maintain your online gradebook. It easy to understand interface and easy to use functionality makes it the perfect choice for administrators of all skill levels. What’s more, is that it provides onboarding or training videos to help users. A robust grade book software will reduce the incidence of human error to nil. How? By merely automating the entire marks management process and replacing it with an online gradebook maintained by a gradebook software that is entirely functional on its own. It is a good example of robust online gradebook management software that works perfectly to automate the entire process. This is a handy companion that can be relied upon to take over the entire process without any fuss or errors. It also works well with existing programs or other softwares. For example, it can be updated with external data because Fedena gradebook software can import marks and records into the grade book software easily. It makes life easy for administrators. Since the processing of grades and gradebook management becomes automated or at the very least contained to a single window experience within the gradebook software, it results in less pressure and fewer tasks for already overworked administrators. Instead of focusing on redundant processes, they are now able to instead direct their energies for more vital tasks. Allied information like attendance tracking can also be recorded in this system easily, making it the perfect companion to maintaining a comprehensive online gradebook while also making the administrator’s life a bit easier. A reduced workload for administrators thanks to the implementation of gradebook software is also a boon for management. Optimise the workforce and reduce labour costs by eliminating positions and tasks that have been made redundant by the gradebook software, and instead direct funds towards positions or roles in the educational ecosystem that actually require human effort. It makes this possible thanks to how robust and powerful a system it can be. The most public-facing change will be the increased customisation of report cards that are made possible by the implementation of gradebook software. The capabilities of the gradebook software in use at the educational institution makes it possible for administrators and/or teachers create customised report cards, instead of relying on an outdated template. This means that teachers and administrators can create online gradebooks that actually convey information that is relevant to teachers and students using the gradebook software, instead of just adhering to the status quo or becoming outdated. Fedena gradebook software’s latest custom report feature makes this easily possible for your educational institution’s online gradebook. With its automated processing and custom features, gradebook software is the ideal way to build smarter and better report cards. What does this mean? It means that teachers and administrators can use it to create reports that are more informative than ever before, directly improving the efficacy of grades and gradebooks as a concept in itself. For instance, it easy for teachers to add custom remarks and notes to a student’s, providing context to assessments. This is valuable developmental feedback incorporated into the students’ online gradebooks itself and motivates students to view examinations and school as a learning opportunity rather than a harsh assessment of their skills, especially in the case of setbacks or a lack of progress. School management systems are changing the way that school function across the world. Today, with the help of various school ERP features educational institutes are able to function in a way that is more intelligent and user-friendly. Understanding the various benefits that the school management system offers, many schools and colleges have started using school ERP modules to govern their day to day activities and track the various paperwork that is managed by the school, thus making banal administrative work a lot easier relatively to the past. Presently most of the school management system offers features such as attendance management for the students and teachers, communication methods between the class teachers and the parents or after school communication between the students and the teachers, admission management for new registrations, time table scheduling and exam management. These are some of the school ERP features that are most appreciated and used by the school as they ease the challenges of daily work. 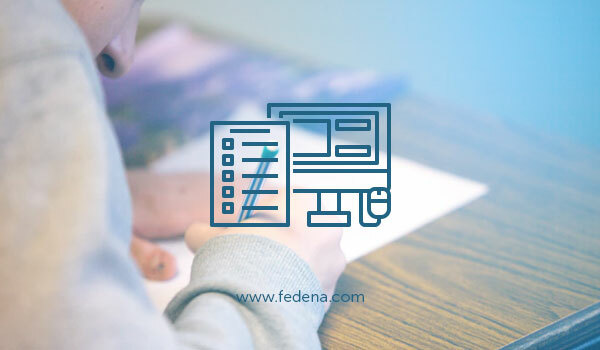 The Fedena school management system offers a range of features that are updated on a regular basis so that they can keep up the challenges and updated requirements of every school and educational instate. For security reasons, it is essential for all schools to ensure that their staff, students and teachers have ID cards. However, manually making these can be a tedious and time-consuming affair. The school ERP features of an advanced school management system ensure that these ID cards are made with minimal time and effort. All that the team needs to do is to create and upload an ID card template or customize the existing template to suit the requirements of the school. The online system makes it easy to add images, photographs, and barcodes to help customize the content of the ID card in a way that meets the requirements of the school as well as suits the branding guidelines of the school. The use of an advance school management system with school ERP modules also makes it easier for school to generate certificates for the students as and when needed. Using a Rich Text editor you can create certificates for either the employees or the students. Additionally, it allows schools to upload backgrounds, add photographs, logos, and bar codes to customize the certificate according to the needs of the school. With education becoming global it is important for schools to incorporate all types of fee structures followed by different institutions worldwide. This also includes including tax modules that are followed by various schools across the world. The tax module of an advance school management system with school ERP modules enable taxes on all types of fee transactions – general fees, instant fees, transport, and hostel fees. This module can be used for VAT or other similar tax systems. In an environment where taxation regulations are modified regularly, feature such as this can save the school plenty of time and effort and the online model allows for easy customization and modifications. 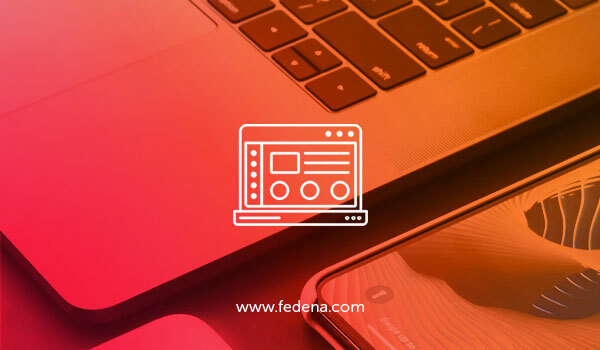 Just like a flexible taxation module, Fedena’s flexible examination module allows all type of institutions to set up and manage various kind of grading systems for the courses they run, be it general, CCE, ICSE, CWA, GPA or CBSE pattern. The settings for each examination pattern allow the school then customize the report card format. Teachers can easily customize the look and feel of the term and planner reports from Grade book the various report card templates that are available on the system. They can easily select and then configure additional settings within each template like an additional logo, color theme, student details etc. Additionally, the use of an advance school management system with school ERP modules ensures that new features and feature enhancements are made all the time. This ensures that schools can always stay abreast of the latest global report card trends and communicate the student grades in an efficient manner. 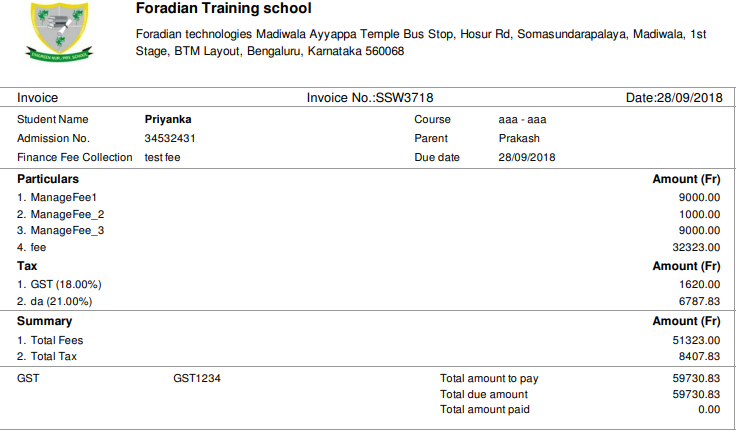 The use of an advance school management system with school ERP modules also makes it easy for the school to customize the invoicing according to their requirements. The biometric features of an advanced school management system with school ERP modules ensures that the school daily attendance is an easy and hassle-free experience. The first attribute that a future-ready school administrator should have is the capability to automate the campus and help it embark on a path to progress. The leader should be a visionary who always makes the effort to create a campus that is healthy, thriving, and progressive. The only way to create such a campus is by automating all the processes that are being done in a manual way. This way you would be able to do away with the repetition of tasks as well. For example, if you automated the process of admissions you would be able to do everything online. This way, you would be able to save a lot of manual paperwork as well. It would also help you do your work in a much shorter span of time, and this, in turn, would make the school a lot more productive as well. By automating all your processes you would also have complete access to all your necessary data on a round-the-clock basis. You can be sure that as far as being ready for the future is concerned digitization is one of the most important tools out there. Read Also – How Fedena School Management Software Ease The Admission Process? To be ready for the future you have to grow at all times. As a school administrator, you have to believe in this dictum and make every possible effort so that you can keep growing at all times. You can be sure that if the latest technology is not being used in your campus you are not growing or improving at all. If you are serious about driving progress in your institution as an administrator you need to be aware of the latest technology being used in the domain of education. You also need to be capable enough to put these technologies to use in your school. You can be sure that this would lead to the best engagement in the school and help the students achieve the highest possible growth that they can. As a leader, you should be able to use the latest educational technologies and you yourself should be able to use them as well. If you step away from this responsibility you can be sure that you are shirking the duty of helping students maximize their potential as well. As a leader, you would have many responsibilities and people would always be looking up to you as well to set the example. They would want to be inspired by you – your actions, thoughts, and words – and follow each and everything that you do willingly or unwillingly. If you are a smart administrator you would be using various digital tools in a wise way. You would be very cautious about what you are doing on platforms such as social media. In fact, this would be applicable for any other platform where people can see what you are doing. As an administrator, you should refrain from cyber-bullying. At the same time, you should also recognize such acts on these platforms and stand up against them in an active manner rather than in a passive way. You need to be an upstander rather than being a bystander. You have to be very careful about what you post, like, and comment on in such a platform. This is because of your actions and decisions over here have the capacity to affect a lot of people at the same time. If you want your campus to be a smart one, you have to be smart about the management of data in the same as well. It is absolutely necessary in these cases. For this purpose, you can use educational ERP (enterprise resource planning) systems and analytics tools that are meant for schools such as yourself. This way you would be able to find out some meaningful patterns. This, in turn, would help you make decisions that are effective, smart, and timely, to say the least. In these cases, all the data is there on a single platform. The best part of all this is that you would be able to access such data on a real-time basis as well. If you have the right kind of data management system you would be able to make all the changes that you want to and you would also be able to find out what would work the best for you. It could be any data related to the likes of students, campus, or the faculty in general. Security is of high importance in this context as well. You need to make efforts to ensure that such critical data is safe at all times. This is the digital age but you would be surprised to find that not everyone has access to these devices as such. This is especially true for outside the school campus. If you are a future-ready administrator you would know that and also take steps to correct the imbalance as much as you can. As a leader, you may be aggressive with the promotion of e-learning. It would be a wise thing to do as well. However, you also need to acknowledge that not everyone out there may have access to those facilities. They may not be as privileged as ones who have round the clock access to said digital devices. This is where they have to be provided sufficient time so that they can complete their work properly and stand a chance to shine just like the others who are doing the work in less time. It is very important to have digital equity in the school campus and the system needs to be as inclusive as well so that all kinds of learners can shine and do well. 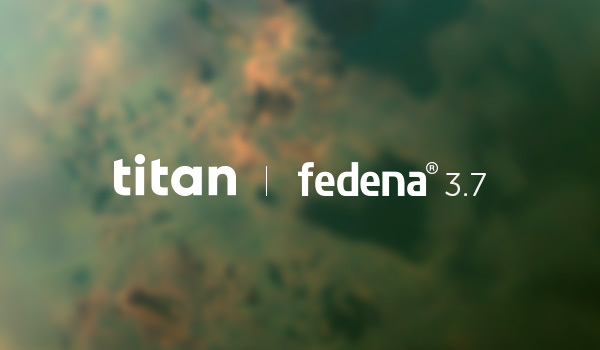 We are pleased to present our latest version Fedena 3.7. With each release, we have worked on introducing new and enhanced features to provide you with better user experience. With this release, we are bringing essential features you asked us- Custom Report Card in Gradebook, Transport revamp and few enhancements in the existing features like Timetable, subject center, Gallery. This time we have named our release Titan, after the largest moon of Saturn. The meaning of Titan is “extremely important person”. 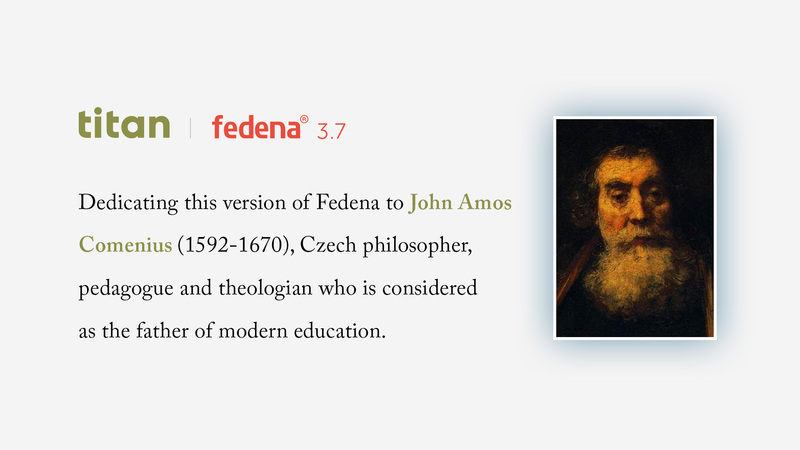 We are dedicating this release to the “Father of Modern Education”, John Amos Comenius who is a titan in the world of modern education. He was born on March 28, 1592, in Nivnice, Moravia. Throughout his life, he tried to improve the ways students were taught. His first success in this area was a Latin textbook, “The Gate of Languages Unlocked”, published in 1631. Comenius’s most important work, however, was written between 1628 and 1632, “The Whole Art of Teaching”. He addressed topics such as education for everyone, Learning by easy stages, Career preparation, Lifelong learning. It is thanks to him that educators today think these things are important. During his life, he wrote more than 200 books on his educational system of human betterment. He died on November 15, 1670. Gradebook with the new set of Report Card Templates allows customizing the look and feel of the term and planner reports. Select from a list of different designs like the Simple One Page templates or the Expanded Two Page format according to the requirements of that planner. More templates will soon be added with the existing templates. You can also configure additional settings within each template like an additional logo, color theme, student details etc. If you want different designs other than the ones provided, Give us a shout. Let’s make something awesome together. Show Student Records in Gradebook Reports as per the report settings in each planner. Enable Student Records, set the frequency as once each exam, once each term or once each planner depending on how Student Records are to be displayed in reports. Add new records and link the record groups. Remarks feature in Gradebook provides a configurable Remark System. It comes with two types of remarks – General Remark, and Subject-wise Remark. Add General Remark to either Exam report, Term report or Planner report. 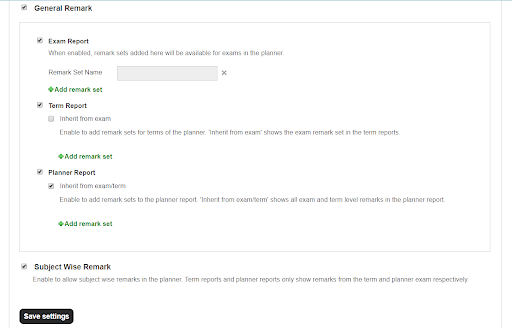 Enable Subject-wise Remark to allow remark against each subject in the exam planner. Create Remark templates using the Remark Bank. Add remarks from the remark bank to students from the Manage Remarks page. Capture information like type of the vehicle, stops allotted, certificates with reminders if the license expires, details of vehicle maintenance and drivers/attendant allocated. All new transport feature focuses on generating optimum bus routes to ensure the most efficient use of school transport services. With the Basic Settings option in Transport Settings, you can configure how transport routes are assigned to passengers that is, enable the route mode as different pickup/drop route or a single pickup/drop route. Fare collection can be made stop based or a flat amount irrespective of the stop. You can also enable or disable auto update of unpaid fee collection when passenger route is changed. Also, you can import the transport settings of the previous year with the help of transport import option. All new feature in Finance helps to create Master Particular and Master Discounts in order to avoid the confusion and complexity involved in dealing with multiple fee heads. The existing fee heads and discounts can be linked with the Master Particulars which will then be listed while doing transactions. Get a count of latecomers with the all-new feature in Fedena which lets you mark the student as late if they arrive late to class. Enable Custom Attendance to use this feature. The attendance report will vary as you enable or disable this feature. However, in the reports, the late attendance will be recorded as ‘present’ for calculation of attendance totals or percentages. With this feature, you can manage different transactions carried out under a particular financial year. This financial year will be the default year range for the finance module. It helps us organize your transactions chronologically for better efficiency. Now import subjects from as many courses as you wish, select the subjects from different courses to club them together as subjects in a particular course. Keep a fixed date within which the subjects should be assigned to courses. So, once the date is crossed, these elective subjects cannot be assigned. You can now edit the subjects in Manage Subjects. An edit option is provided against each Subject. All the details about the subject can be edited except ‘Subject code’. Calculate the Loss of Pay by using either of the two, Loss of Pay Days(LOPD) or Number of Days Worked(NDW), depending on how an institution prefers to calculate the Loss of Pay for each employee. Swapping has been made easier, you don’t need to go back to the timetable to check if the teacher is available. If an employee is already engaged in some other class or Non-Holiday event for that particular hour, then you will be notified about it. an edit option is provided against each Subject Group with which you can edit the name of the group as well as enable the calculation of score if required. You can now download the albums and pictures shared in the Gallery. Sending attachments with the messages is no longer confined to a single attachment. You can now send up to 5 attachments after this update. 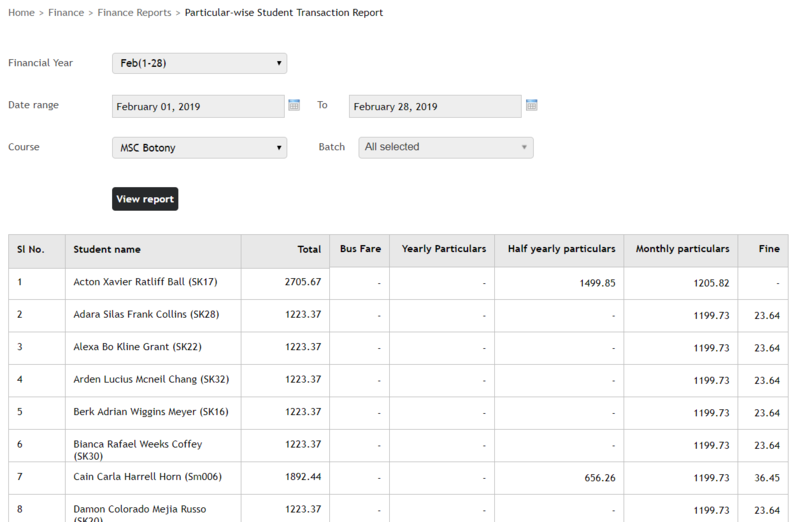 It is now possible to generate a detailed transaction report of each student. The transactions will be displayed against each particular for every student involved in the process. With this enhanced feature, you can generate a complete report of transactions done on each day of the specified date range. View summary report of transaction done in the different modes of payment. 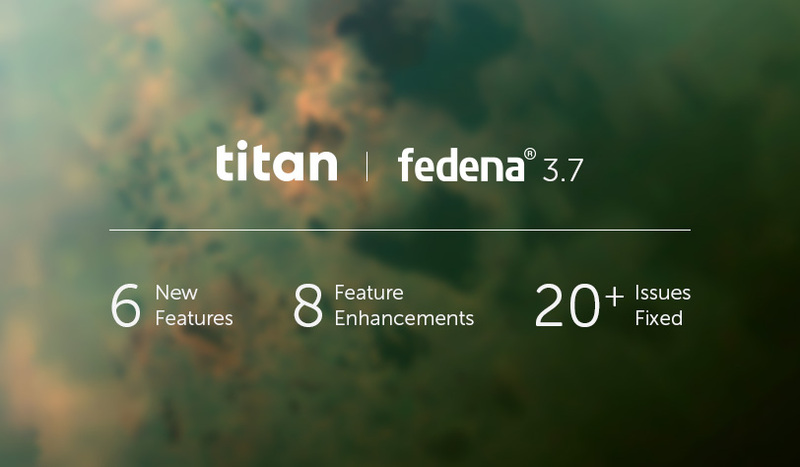 We have fixed 20+ issues in Fedena 3.7 release. Learn about it in Release Note. Also, share what would you like us to improve next and for better Fedena experience try our free demo. 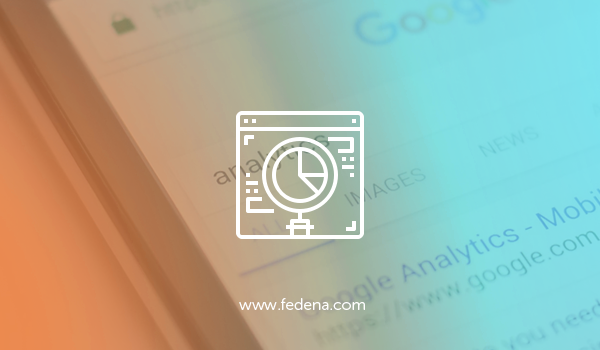 This document contains information about the new and enhanced features in the latest release of Fedena. We strongly recommend that you read the entire document. With this new feature in Gradebook, show Student Records in Gradebook Reports as per the report settings in each planner. Enable Student Records, set the frequency as once each exam, once each term or once each planner depending on how Student Records are to be displayed in reports. Add new records and link the record groups. New Remarks feature in Gradebook provides a configurable Remark System. There are two types of remarks – General Remark, and Subject-wise Remark. Add General Remark to Exam report, Term report or Planner report. Enable Subject-wise Remark to allow remark against each subject in the exam planner. Transport Revamp All new Transport module captures much more information like type of vehicle, stops allotted, certificates with reminders if the license expires, details of vehicle maintenance and drivers/attendant allocated. Define vehicle routes with different pickup/drop routes for every student. Fare collection can be stop based or a flat amount irrespective of the stop. Transport can be assigned to users during admission. 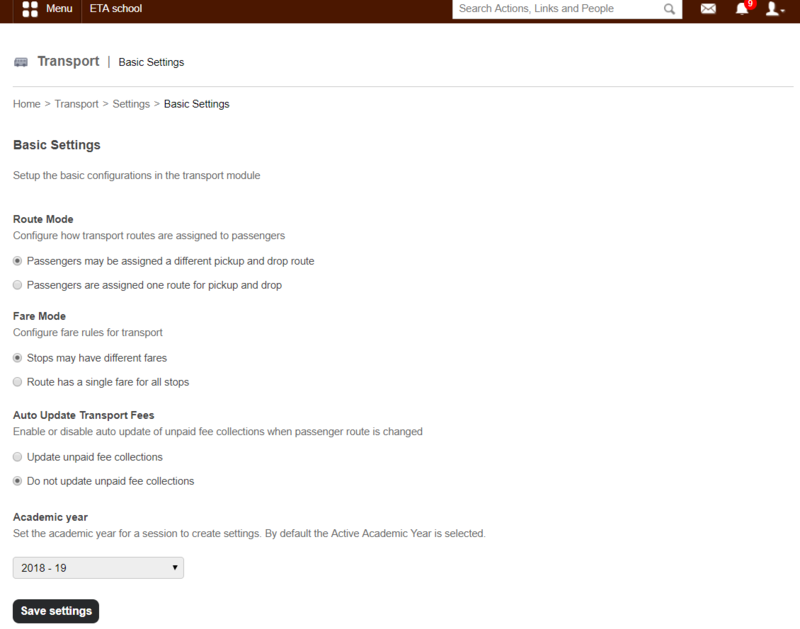 Start with Basic Settings to setup configurations in the transport module according to your institution. Ensure that no changes are required after the configuration is done. Passengers are no longer assigned to Vehicles. A single vehicle may be assigned to more than one route. Finish setup of Vehicles to add missing details. Make the necessary changes to the routes and stops as required before you start using the module again. The sub-routes have been converted to stops. Routes and Stops are auto-created after the update. If the same vehicle was used for more than one route, new routes are created using the same name appended by a number. Vehicles, Routes, and Stops are created Academic year wise. Use the import feature to copy settings from the current academic year to the next. Avoid confusion and complexity while dealing with different fee categories. All new feature allows creating distinctive Master Particulars to use them under different fee categories. Link the existing fee categories to the Master Particulars created, to use them in the further transaction processes. This feature allows importing subjects from as many courses as you wish. Select the subjects from different courses to club them together as subjects in a particular course. Subject group mark calculation in Gradebook reports With this feature, you now have an option to enable calculation and display of Subject group’s mark in the Gradebook Report. 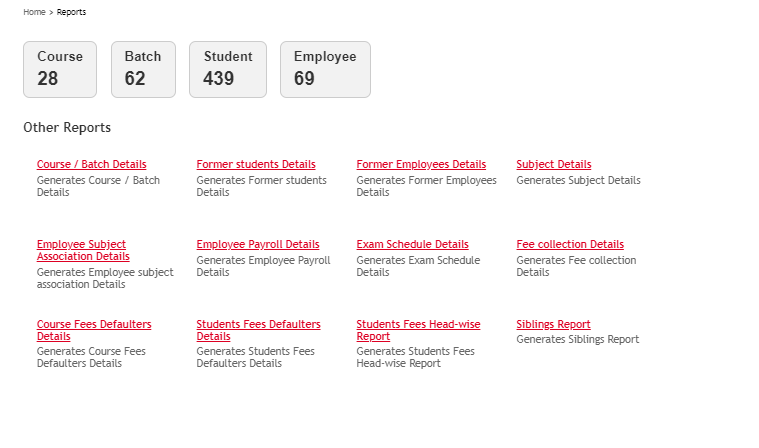 Generate a detailed transaction report of each student. The transactions will be displayed against each particular for every student involved in the process. With this enhanced feature, generate a complete report of transactions done on each day of the specified date range. Some of our most inspiring and unforgettable movies are of teachers and professors who use innovative methods of teaching to reach out to the minds of the students and win the hearts of the audience while doing so. While a few years ago, one would only see such innovative and effective teaching on the screen, today technology has given teachers across the world a number of tools to enhance teaching methods. While this form of teaching does not include technology, it is an enriching experience for the student as well as the faculty. Here, the learning happens in an informal setting such as after-school learning clubs, or trips to museums and exhibition. The teacher can link the educational content with the experiences that the students are having. This teaching is further enhanced and deepened by adding questions related to the subject. The students can then add to the classroom discussions through field trip notes, photographic projects and other group assignments related to the trip. Smart boards are an effective way to bring the classroom to life while helping students experience a deeper level of engagement and understanding. This is done by making the course content interactive and visual. The smart boards transform the teaching experience into an interactive and collaborative experience as the teachers use dynamic multimedia content, to help convey the topic more effectively to the students and making it a visual, engaging experience. Flipping the classroom is becoming an increasingly popular effective teaching method. In this technique, the students are made active participants of the learning process by passing the onus of learning on them, it requires the teachers to relegate to the role of resource providers and the students take the responsibility of gathering concepts information. Using various tools of technology the students are encouraged to constructing knowledge, fill in the information gaps and make inferences on their own as and when needed. While many may question if giving students the responsibility of learning may world, it has been seen by teachers across the world that when put in charge of their own learning they immersive themselves more in the subject, taking more interest and learning better. This method of teaching is one of the best ways to lay the foundation in independent learning. Another innovative method of teaching involves encouraging student collaboration for various projects. Today, we live in a globalized world and collaboration is an essential life skill that is important for all careers and enterprises. Teachers can help foster this skill in the classroom by allowing students to learn, study and work in groups. For instance, by assigning group homework or encouraging students to work together on plays, presentations and other reports. Today, collaboration as a form of teaching is gaining acceptance as a powerful teaching tool where once again the responsibility is on the group of students are the educators play to role of guides, mentors, supervisors for the students. It also teaches students empathy, negotiation skills, teamwork, and problem-solving. Virtual Reality technology involves helping students learn through interactions with a 3D world. For instance, instead of taking the students through a boring history class, the teachers can use 3D technology to explore ancient civilizations, travel to distant countries for a class in geography or even take a trip to outer space during a class on science. Teachers looking for innovative methods of teaching can also look at 3D printing as a means of teaching. This method is fast gaining global acceptance, especially in higher educational institutes where 3D printers are used to create prototypes and make complex concepts easy to understand. In the lower level classrooms, teachers can use the 3D printers to teach content that was previously taught via textbooks, thus helping students gain a better understanding of the concept- especially STEM subjects. The use of technology in the classroom helps to engage the students with different kinds of stimuli and creates an environment of activity-based learning. It makes the content of the classroom more interesting and makes learning fun. For teachers, technology offers an endless set of resources that they can tap into depending on the need of the students. While this blog lists a few such resources, for a teacher looking for effective teaching methods in a classroom, turning towards the latest technology will offer a vast number of updated solutions. 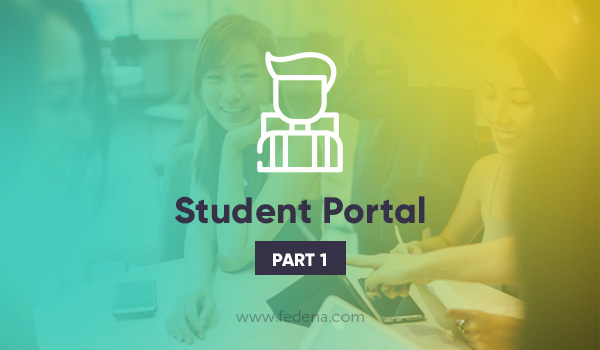 In our previous blog, you have learned what all the benefits students can gain with Fedena school ERP software student portal. In part 2, we have focused on the Fedena school erp software student portal features. What features does the Fedena School ERP software provide in Student Portal? 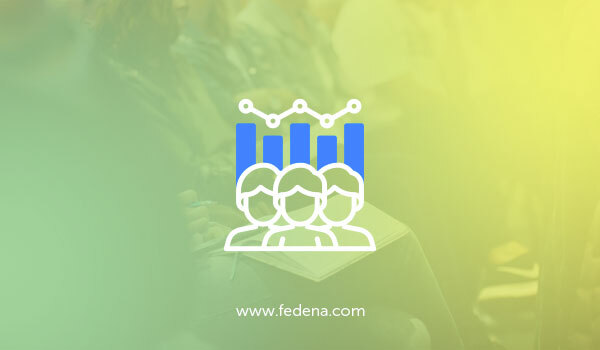 The Timetable feature in the Fedena allows error-free and easy to understand timetables to be created within a matter of minutes, optimizing it according to the schedule of teachers or educators, other employees, and the students themselves. This helps students plan their day better and remain top of being organized thanks to the Fedena student portal in school ERP. 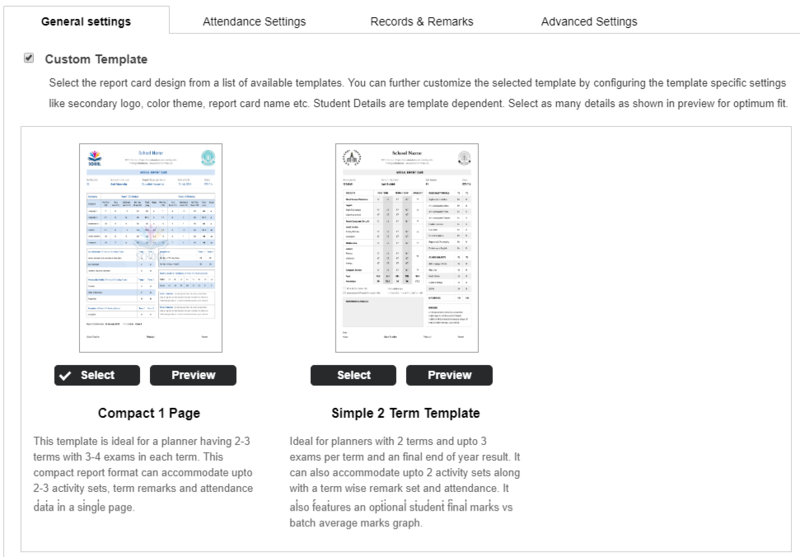 The Student Attendance feature enables teachers to quickly take and mark student attendance in their classes. This ensures efficient, error-free record keeping for students and for teachers to more quickly get to the lesson at hand, thanks to the Fedena student portal in school ERP. Admission feature helps in smoothening the admissions process at your school. Create customized school admission forms and find students who are the perfect fit for your schools. Not only is using student portal in school ERP beneficial to students by making the admissions process easier, but even the burden on administration is also reduced. In this module, the entire homework process becomes easier. Assign homework assignments easily within the student portal along with due dates, any resources the students may need, and other instructions. Doing homework has never been easier, thanks to the Fedena student portal in school ERP. The Hostel feature in the Fedena student portal in school ERP enables administrators to efficiently manage student housing. Assign hostel rooms to specific students at a glance, manage room transfers, fees, and other hostel or housing related tasks easily with this student portal in school ERP. With the Library module, library management becomes a breeze for your educational institution. Maintain records of all library assets, barcode all assets within the student portal in school ERP, keep track of all items easily and offer a seamless library experience to all patrons. An age-old experience is modernized by the student portal in school ERP. 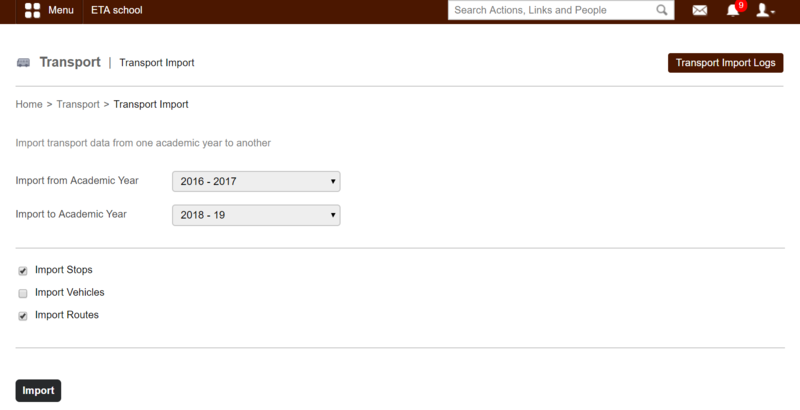 Thanks to with the calendar feature in the Fedena student portal in school ERP, managing events is a breeze. Events become a part of the institution’s calendar and can be color-coded to stand out and attract attention resulting in greater attendance and interaction from stakeholders with their institution. Schedule events, along with additional details, according to everyone’s availability and notify them of the same easily using school ERP software. For a lot of students, school is often a home away from home. Build this family feeling using the birthday alert feature in the student portal in school ERP, which alerts you to student and employee birthday on the student portal in school ERP dashboard itself. Students feel more at home thanks to the student portal in school ERP, like Fedena. Read Also – Why choose school ERP software to manage student registration and admission management system? 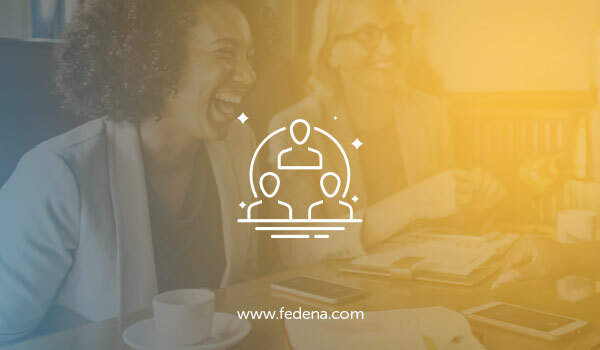 The Discussion feature of the Fedena student portal in school ERP allows employees, teachers, students and employees to collaborate, interact and create together. Discussions help with higher engagement between all parties in a school and result in newer thoughts and learning for everyone. Higher engagement in the student portal for school ERP results in more ideation and creativity for students and other stakeholders in the school. 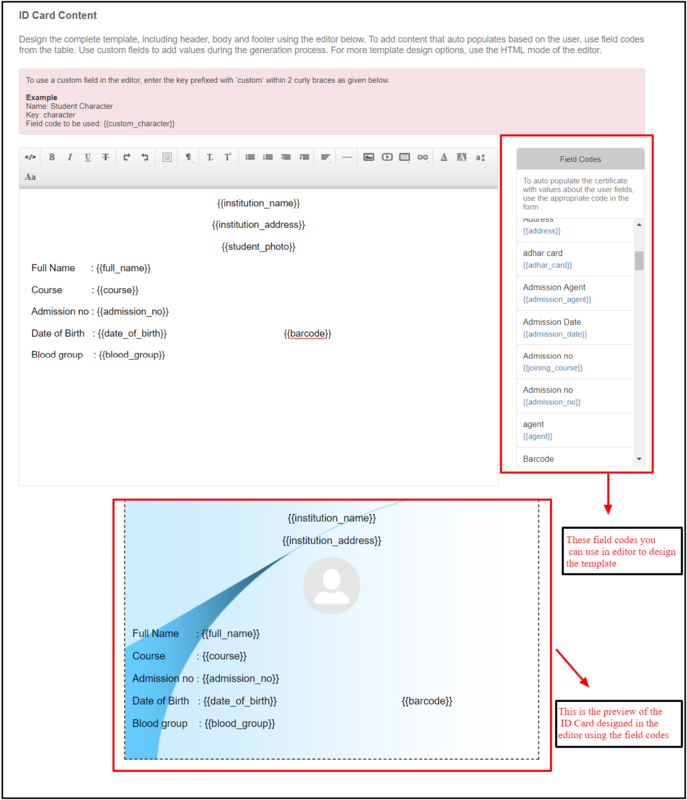 The custom student remark feature in Fedena allows feedback or comments to be left in the form of remarks for each student from the teacher. Subjective, tailored feedback is key to helping students improve their work and learn more efficiently. In the student portal for school ERP, this kind of remark can be left for individual students or for particular exams, making constructive criticism easier than ever before thanks to the student portal in school ERP. The Gallery feature allows the school to quickly share images and announcements with students, teachers, parents, and other stakeholders. In the student portal, it is possible to do create albums, do batch uploads and delete redundant albums as needed. Data shows that visuals like photos and videos tend to be more engaging for viewers, especially for the younger generation like students. Communicate more visually with your students’ thanks to the student portal in school ERP enabling greater inclusivity and engagement with students. The calendar feature allows better planning for all stakeholders in the educational institution since it allows for easy planning, scheduling, and an announcement of happenings on campus. It is also color coded making it very user-friendly for all users of the student portal in school ERP. Having calendar results in better planning and awareness of going on for all stakeholders in the school. This helps build a sense of purpose and unity within the school, thanks to the student portal in school ERP. The report center feature of the Fedena student portal in school ERP allows reports to be generated for all the stakeholders in your educational institutions. Whether it is for students, employees, teachers or other stakeholders, these reports can easily be found and retrieved in the report center. These reports can range from everything like results for exams, course information, or fee schedules. What is a Student Portal in School ERP Software? Student portals are essentially online gateways through which students of an educational institution are able to access information regarding their classes, teachers, and general schooling easily and at their fingertips in a timely fashion. Student portals are generally the student facing side of the school ERP system (meaning school enterprise resource planning software or platform). While there can exist student portals that are dedicated entirely for students, very often student portals are part of a larger school ERP software. A school ERP software is more comprehensive and holistic in terms of its use, making it useful to teachers or educators, non-education staff, management, administrative staff, and others, in addition to the students themselves. Implementing the use of a student portal in school ERP will thus help also bring students closer to the various stakeholders in the educational ecosystem and help them integrate more easily with student life on campus at their educational institutions itself. Why do we need a Student Portal in School ERP Software? But do even need a student portal in school ERP? In a world that is increasingly embracing technology, it is important to keep pace with the times. This is increasingly the case when it comes to engaging with younger students. A student portal in school ERP is an easy way to connect students more easily with their school. A student portal in school ERP lets students communicate with a variety of stakeholders in the school in a secure fashion, finish administrative tasks like fee payment and enrollment within the portal itself swiftly and easily, and also keep track of their academic progress without any hassles. It is also important to remember that most school and college going students right now have grown up with technology. This means that they are intimately familiar with its use in day to day life. Tapping into this level of comfort through the use of technology to convey important information is not something that can be ignored. Student portal in school management system is thus the swiftest way to engage with students familiar with technology regarding their education and learning experience while at their school or college. Hence, Student portal is now a necessity for any school or college that aims to champion their most important stakeholders – the student – while also being considered a modern, forward-thinking school of repute in their educational ecosystem. What are the advantages of having a Student Portal in School ERP System? A big part of good scholarship is based on good planning. With the student portal, the students of an educational institution are able to better plan their studies and learning. It allows students to keep their reading materials organized by course, communicate with fellow students or special groups for some peer learning or to coordinate group studies, review test scores confidentially, communicate with their teachers at any time and from anywhere for someone on one office hours, etc. The possibilities are endless and the student portal in school ERP becomes a cherished companion in improving a student’s academic growth. In a fast-paced world, time is of the ultimate essence. Things are no different for students at an educational institution, like a school or a college. In between classes, extracurriculars, examinations, applications for jobs and internships or for college, and other responsibilities of life, a student has a jam-packed schedule these days. It is thus vital that students – just like the adults they will grow up to be – manage their time well in order to succeed. A student portal in school ERP will help with just this endeavor. For students, the ERP system in schools eliminates long queues and cumbersome processes for tasks like fee payment or enrollment for a class, assignment submission, and much more. Using this automated system student are able to make more efficient and effective use of their time. A student portal in school ERP is a great communication platform on multiple levels. Not only is secure and confidential, the one on one communication possible with various stakeholders at the educational institution. Also, it allows for groups of students to conduct group study or for special interests or class and batch-wise groups to be set up easily in the student portal in school ERP. This means that teachers and parents can easily communicate within the student portal in school ERP about a student’s projects with access to allied information and notes available within the platform itself. Students are able to connect with their fellow learners within the student portal in school ERP to engage in some peer mentoring. Administrative staff and management are able to send out SMS alerts or email alerts to parents and students through the student portal in school ERP to update them on breaking information in a timely fashion. The dashboard can display institution-wide notification blasts that are easily viewable within the student portal in school ERP. Even a function like transport management is available in student portal in school ERP, allowing parents or guardians to track the whereabouts of their younger children, allowing for real-time updates on their child or ward’s well being. Communication is an essential facet of having a successful team behind a student’s well being and superlative academic performance. Other than the relationship between teacher and student, and teacher and parent, the lines of communication and equation a student and parent share is also very important. This is because only teamwork makes the dream work. The student portal in school ERP helps with this communication, while also being an easily accessible platform for information or materials that help contextualize school-related communication between parents and students. Using school ERP software, parents are able to navigate and track their child’s academic progress and communicate with their teachers about how best to support their student’s efforts. In addition, it also helps students communicate similarly with their parents and teachers, while also engaging them in a more continual and holistic way with regards to their learning. Oftentimes, timely help is most scarce in overburdened and overstressed educational institutions. Being able to have access to a teacher’s help when it is needed the most is important for students striving to hit their educational milestones. Keeping this in mind, student portal in school ERP offer a variety of modes through which student communication with teachers can be enhanced. This is especially the case outside the classroom, where a student portal in school ERP becomes a reliable tool through which students connect with teachers in real time. For instance, they are able to send personal messages to teachers using the student portal in school ERP, set up groups within the student portal in school ERP that allows them to focus on specific subjects or classes, and also access all course and learning materials the teacher has uploaded into the student portal in school ERP. Thus, thanks to the student portal in school ERP, student, and teacher communication is vastly enhanced and made possible anywhere and at any time, even remotely. Research shows us that increasingly peer engagement and peer learning is becoming a mode of learning and teaching that educators want to capitalize on. The student portal in school ERP is especially suited to implementing this mode of learning within the classroom, while also ensuring that resources are used conservatively.In the student portal in school ERP, it is possible to set up one on one communication with students in a particular class, set up groups with special focuses or for specific subjects, and to also allow for shared learning through the use of common classroom materials. Thus, the student portal for school ERP is essential for student communication with fellow classmates. A student portal in school ERP is essentially a repository of information that is useful to students. This covers a wide range of requirements that students and their fellow stakeholders will have, including but not limited to information concerning administrative tasks like exam enrollment, setting up of student events, communication with teachers, parents, fellow students and the school at large, information on where and how to access student course materials, etc. Information is limitless and well organized in a student portal in school ERP making it more than data dump or an unorganized information repository. Instead, the information in a student portal in school ERP is easily accessed, understandable and easy to use by and for the student. A student portal in school ERP is thus necessary for students overwhelmed or overloaded with large amounts of vital information necessary to their schooling and learning. Check out Part 2 – To know more about the Features of Fedena Student Portal. In organizations across the world, the human resource function is one of the most essential departments as the employees are the stepping stone for the success of any organization. In schools and educational institutes too, the human resource management system is one of the most critical functions. This is the reason that when selecting a perfect school ERP software, it is important to consider software that offers a combination of automated processes that connect human resource management and information technology in a seamless manner. When selecting a School ERP software, it is essential to ensure that the School ERP has every feature you will ever need to run your institution efficiently. This also includes a fully-fledged Human Resource module that will help with the automation of repetitive and time-consuming tasks associated with human resources management Using a multi-function human resource management system will help to free up some of the school staff’s employees most valuable resource – time. It will also ensure that the focus of the school HR team is shifted to creating a culture of world-class education, long term employee retention, and other highly impactful areas that will help the productivity of the school. One of the foremost advantages of using a human resource management system is the automatic management of attendance for the employees. This information can be captured with the assistance of a biometric device that the staff can use with minimum assistance. The system creates automatic reports that can be tallied easily at the end of the month for easy attendance calculation. Additionally, the school employees can easily apply for a leave on the school ERP software for payroll management. The leave applications can be easily approved by the manager when needed. The system also allows for easy leave calculations at the end of every leave cycle. By automating the process, not only does it save employee time, but it makes employee attendance and leave management a lot easier and faster. The human resource function in an educational institute includes the collation of a lot of employee-related data such as financial information, health, addresses for communication, qualifications and salary details among other things. The school ERP software for payroll management ensures that all these documents – many of which can also be highly confidential can be stored in the software in a safe and secure manner. All that the employees need to do is upload the quick and customizable employee admission form in one go. The software also allows for bulk employee import option so that all the details of the employees can be uploaded on the software in a few quick moments. Additionally, using a school management software for payroll management ensures that this information can be updated, accessed with the easy click of a mouse. Another benefit of using a school ERP software for HR management is that it becomes easy to update any personal queries, complaints, and grievances on the software through private messages and emails to the administration staff. These queries or messages can be addressed in a confidential manner and helps assure the staff and the teams that there is support available to them when wanted. 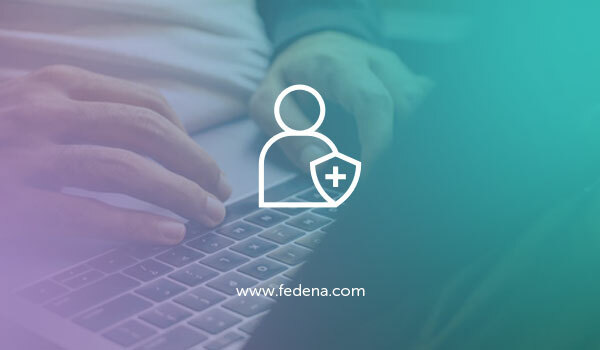 When registering with a human resource management system like Fedena, one of the advantages is a simple payroll management system where the educational institute can manage the payroll system with ease. Routine functions such as attendance calculation, leave management, payroll assignment, pay slips generation can easily be taken care of by the school ERP software for payroll management. The payroll setup can be done for variations of earnings, deductions and various deductibles. The system also supports instant amount changes in payroll when needed. Thus, instead of spending productive hours calculating and correcting the pay slips, the administrative staff can simply outsource the same to the school ERP software for payroll management. Additionally, payroll can be collectively assigned to employees sharing similar pay structure and frequency, thus making the monthly task of payroll calculation easier and faster. For those worried about the security of an online system, the Human Resource manager can be given special security privileges to generate pay slips based on payment frequency. Thus, ensuring the security of the information and the employee data. Also, the payslip report settings can be configured in a way that allows for separate privileges to be assigned for the approval, rejection, regeneration of pay slip for employees. The settings can also be configured to integrate the loss of pay calculation in employees’ pay slip.